"More than 30 years ago, Levy began as two brothers, our mom and a deli. Our passion was ignited to celebrate food and create memorable guest experiences. We embrace guests with our heartfelt hospitality and are intent on exceeding their expectations." 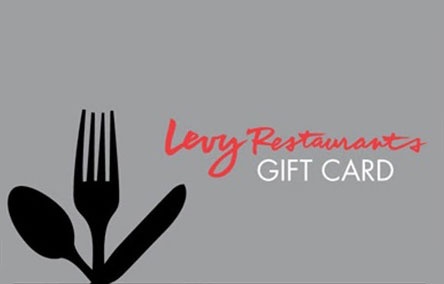 Levy Restaurant eGift cards can be used at: Bar Toma, Bridge Bar, Café Spiaggia, Captain Morgan Club, Fulton's on the River, Fulton's Crab House, Googie Burger, Jake Melnicks Corner Tap, Motor, Oak Street Beach, Portobello, Portovino, Spiaggia, and Wolfgang Puck Grand Café.